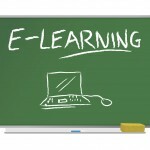 For Moodle access, click on the E-learning ‘greenboard’. The seminar aims to support teachers as they move into the role of teacher educator, a teacher of teaching working with their colleagues. This process involves building on and converting knowledge and skills in teaching into knowledge and skills as teachers of teaching. Designed to blend face-to-face and on-line work experience, participants will identify, practice, and document the skills and knowledge they have, and need to develop, to be effective teachers of teaching. They will develop specific teacher-learning activities, which they will trial, and will document their learning in a Professional Portfolio. * Become knowledgeable about teacher professional learning, and the stages involved, and conversant with frameworks for the knowledge and skills of teachers vs. trainers. * Become knowledgeable about, and analyze, the connections between school cultures and professional learning in their contexts. The first face-to-face session is organized around two questions: What do you need to know as a teacher of teaching? Then how can what you know as a teacher serve your work in this role? Key concepts will include defining teacher professional learning, and the stages involved, frameworks for the knowledge and skills of teachers vs. trainers, and self-assessment within these frameworks. Ideas will be introduced experientially, and participants will have the opportunity to do hands-on work with key ideas. The Professional Portfolio, through which participants will reflect on and document their work, will be introduced. The on-line work will begin with a Reading Period during the month of December. Participants will have readings to recap the concept from the first session. They will also complete draft initial entries From January through March 2018, participants will work collaboratively in small teams, with on-line input and coaching from seminar monitors. They will develop plan, implement, and document specific teacher-learning activities. Possibilities include short workshop sessions, organizing teacher-inquiry or study groups, and using peer observation protocols. Emphasis will be on skills of collaboration in planning and documenting the work, and on reflecting on and learning from your work as a new trainer. To keep the group on track, the period will be divided into three Activity Windows (January, February, and March); there will be a task to be completed during each Window. The second face-to-face session shifts to examine the organizational cultures of schools and how these cultures can shape professional learning and training. Participants will draw on their work during the on-line period to explore key concepts around organizational cultures of schools. They will also complete work on the Professional Portfolio. Participants will use the Professional Portfolio to document their learning and work in the seminar. The Portfolio will have five sections: 1) an Opening Self-Assessment; 2) sections for the tasks done during each of the three Activity Windows; and 3) a Closing Reflection, which updates the opening self-assessment. 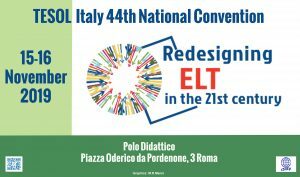 Portfolios will be reviewed by the seminar monitors from TESOL Italy and the Language Teacher Education Design Lab.